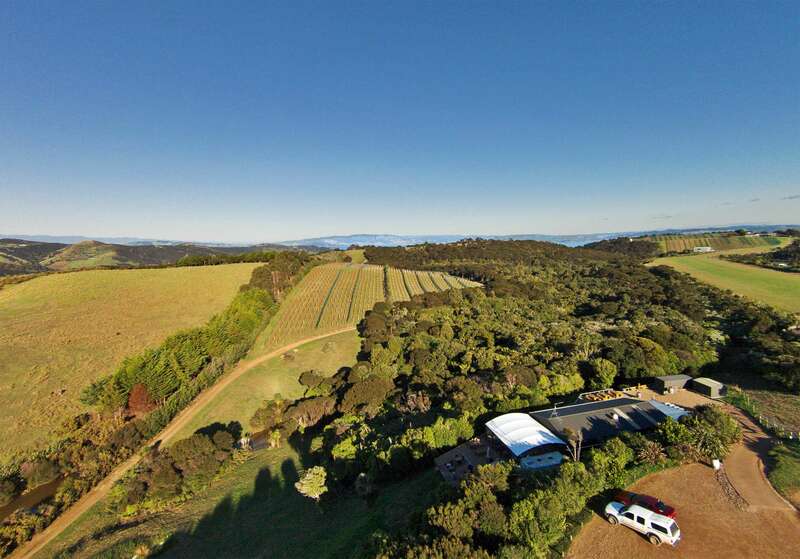 Peacock Sky Vineyard was born in 2008 when Connie Festa and Rob Meredith purchased a small established vineyard in the centre of Waiheke Island. The couple, originally from Canada and the UK, respectively, worked tirelessly to turn the operation into a customer driven vineyard and built a product line of bubbles, white wines, rosé and red wines to showcase their passion. Connie’s love for beautiful cuisine naturally fit into the business plans and in 2013, they built the restaurant, Le Côté de la Colline, and began serving lunch. Each year, Connie designs beautiful, Mediterranean inspired menus constructed to pair perfectly with each season’s PSV wines. Rob’s background in science, technology and operations has been put to good use in managing the technical aspects of the business, including overseeing the production planning and logistical sides of the operation.